I have ALS. With arm onset, my deltoids atrophied and my arms pulled against the sockets and my arms became uncomfortable. My OT pointed me to you guys, and voil�! Problem solved. My legs still work okay, so now I can enjoy long walks, hikes, and skiing much more comfortably with your bilateral sling. Thanks for a good job and great design! 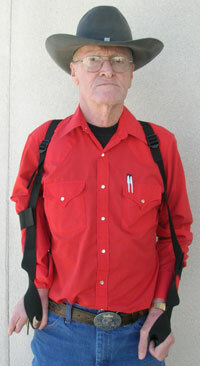 My name is Bill R., I am 71 years old and have had polio since the age of 3. Polio has damaged muscles in my chest, arm, back, and also caused damage to my diaphragm. I have searched for years for help with my pain. I have had 3 surgeries on my left shoulder. My right arm is the one with polio. 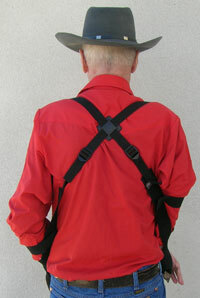 I have tried many different slings in the past, but the one made by GivMohr Corporation seems to be working. It has reduced 95% of the pain in my shoulder and the other 5% is due to arthritis. I am very thankful and grateful that I have finally found a sling to help. 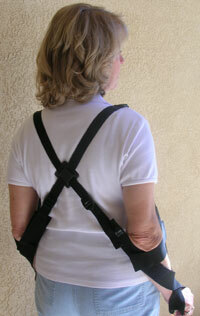 Order the GivMohr Bilateral Sling Online!